Between the members of the New York Lego User’s Group, we are filling a window in each of the New York City, West Nyack, Queens, Rockville Center and Paramus, NJ stores. 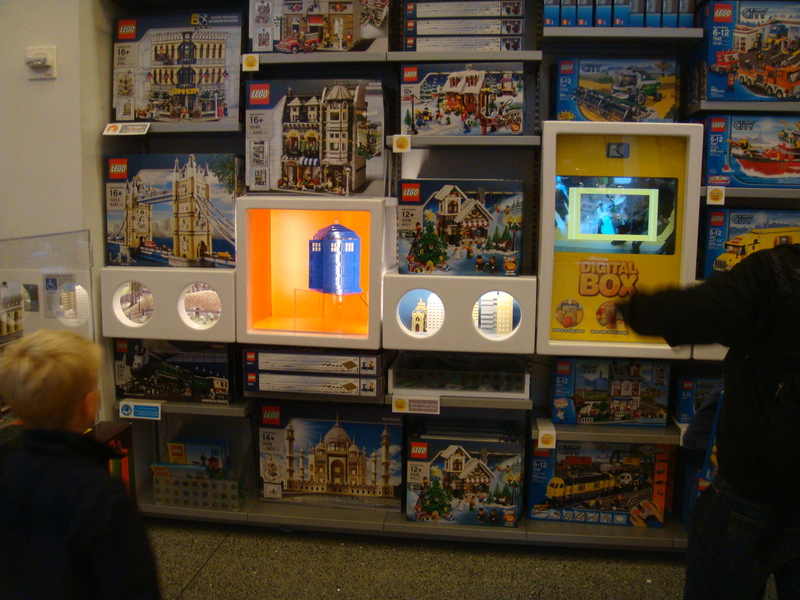 I wanted to do the New York City store because it was the highest traffic store the Lego Group has and because I wanted my work to be seen. We will end up rotating who displays in which store, depending on members’ geography and desire to display in particular stores. 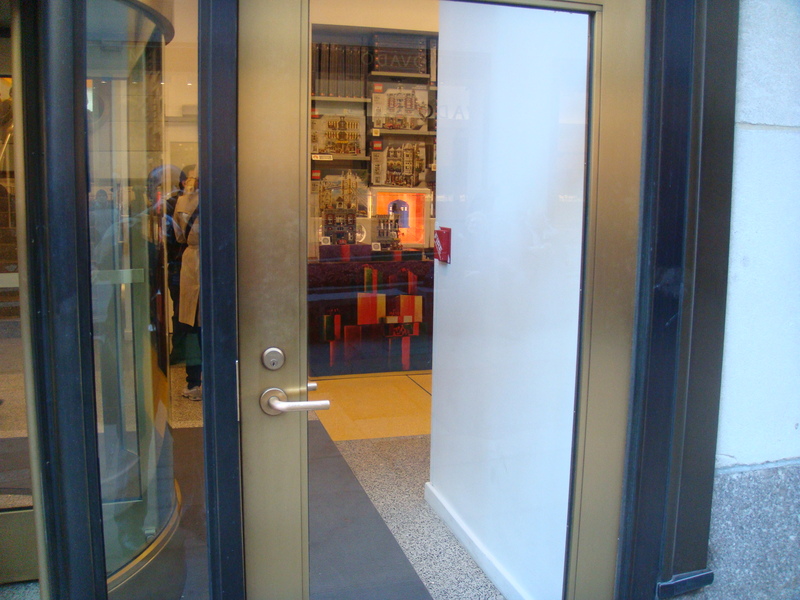 The location of the community window is directly in front of a person when they enter the store and is optimal viewing for anything on display there. I feel I LUG NY is very lucky to have the opportunity to display in such a high traffic area and will help our membership grow in leaps and bounds as new people discover us from the placard in the window. 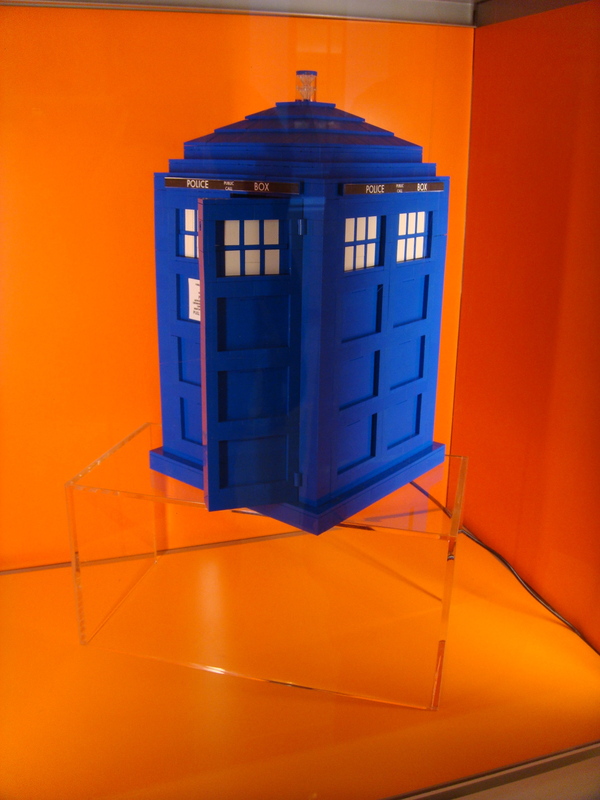 I chose to put the TARDIS in the window because it was a piece that got big responses from people when I displayed it, and it gave me the impetus to tweak little things I wasn’t happy with. The main thing that is noticeable is the new labels placed on the sides and the phone box. I wasn’t happy with the labels because I had printed them on clear stickers, but they needed a white background. It was also pointed out on various forums the phone box should only be on the front and not all four sides, so I corrected that with a new label only on the front. If you find yourself in midtown Manhattan and see my work, please let me know what you think. And if you are interested in joining I LUG NY, please contact us through the LUG’s website or you can contact me directly and I can give you more information.